If you listened to Episode 176 of the EDG Podcast, you know that there is one game that I credit for taking me from being someone who just liked to play video games to being a gamer. That game was Street Fighter II. I remember never being that impressed with the original Street Fighter. I had seen in and even played the old version with a huge button/pad for punch and for kick, but it just seemed too gimmicky for me. I was looking for something more than the game was providing. So the first time I saw the sequel in the arcade, I went over to check it out, not knowing the impact it would have on me. 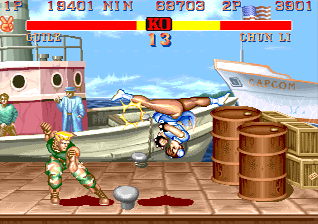 The Street Fighter series was not the first arcade fighting series. It was not even the first to allow two players to fight against each other. The first one I remember doing that was Karate Champ, a game featuring two joysticks which, when used in combination, allowed you fighter to perform many different moves. In the original Street Fighter, you controlled Ryu as he fought his way though a world-wide martial arts tournament, and a second player could challenge you as Ken, Ryu’s arch rival. The problem was that was about it. 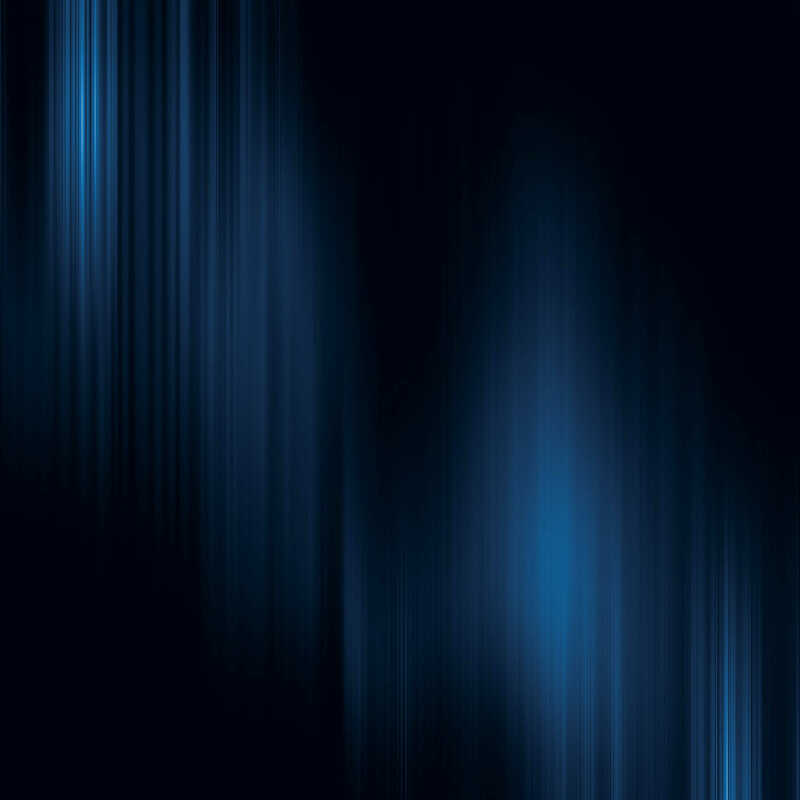 The two characters played the same, and the game, while it may have done some things well, was not really that remarkable. Yes, I used Chun Li a lot. No, I am not ashamed to say it. Street Fighter II: The World Warrior was another story. 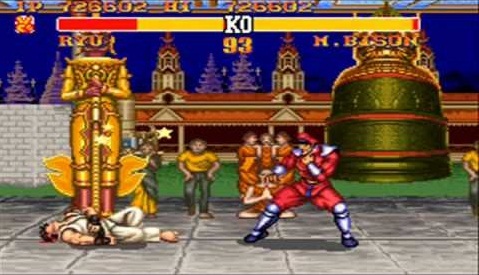 Where the original game had two characters which were essentially mirror images of each other, the sequel introduced sixth other unique characters, each with his or her own style of fighting. Styles ranged from the pseudo sumo style of E. Honda to the lightning quick attacks of Chun Li, and each character had different strengths and weaknesses which came into play. Once you fought your way through the other challengers, you had to face off against four bosses: Balrog, Vega, Sagat and Bison. If you managed to beat all of them, you were rewarded with some cut scenes that gave a little bit of story context to each character. As much fun as trying to beat the game with each character was, it paled in comparison to dueling other players in the arcade. In the original version of the game, you could not both choose the same character, though subsequent versions would allow for it, giving the second player a different color outfit to distinguish the character from the first. After choosing your characters, the two combatants would face off against each other, seeing whose combination of knowledge of the special moves, timing and ability to read their opponent’s strategy would allow them to come out on top. I cannot even begin to count the hours I spent both playing against and watching other people play against each other. Back in its time, the game drew the kind of crowds around it that had not been seen in the arcades since the likes of Dragon’s Lair. It was not unusual to see upwards of five quarters holding places at the top of the cabinet as people were playing. The original Street Fighter II only allowed you to control the eight main characters, but Capcom was not about to stop there. 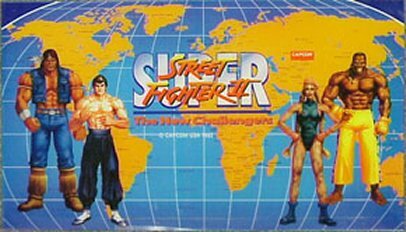 Building on the success of the game, they introduced Street Fighter II: Championship Edition, which allowed you to have two of the same character fight each other and gave you the chance to play as the bosses. Hyper Fightingadded a faster version of the gameplay and more special moves for various characters. Of the new characters for Super Street Fighter 2, I liked T Hawk best. The biggest changes to the game were made when Super Street Fighter II was released. Super Street Fighter II introduced 4 new characters for a total of 16 playable combatants. It also was built on a newer system, allowing for a graphical and musical overhaul that helped the game keep up with the newer fighting games which had been released since the first version came out in 1991. The final edition to be released was Super Street Fighter II Turbo, which added powered up combos and a new, hidden character. While the newer editions of the game helped keep it fresh in the arcades, it could sometimes be confusing to the player. If you were used to the timing and moves of Championship Edition, for example, you could easily find yourself outclassed by people not as skilled in the faster pace of Hyper Fighting just because you were not used to the new fighting speed. Still, the extra features, especially those added to Super Street Fighter II Turbo, were nice, even if it was the beginning of the cycle of releasing several different versions of a game that Capcom is still guilty of today. Bison was the start of the cheap Capcom fighting game bosses. Street Fighter II was the game that made me a fan of fighting games. While there are other games I have enjoyed more, such as the previously reviewed Marvel VS Capcom 2, no other one holds the same sense of nostalgia for me. No, the game was not perfect. We already touched on the alternate versions issue, but there was also some rather cheap strategies which made certain characters like Guile tough to attack. The game also started another trend for which Capcom would come to be known: cheap boss battles. Each of the bosses could pull off combos that would just wipe you out when trying to beat them, especially Bison. No, Bison is nowhere near as bad as Seth in Street Fighter IV, but he was the start of the trend. Even with it faults, however, Street Fighter II will go down in history as one of the most influential fighting games ever, if not one of the most influential arcade games period. Its release in 1991 helped revive a lagging industry, and it had a major role in leading the to popularity of the fighting game genre. For all of these reasons, Street Fighter II gets a 9 out of 10. And yes, I am willing to admit part of that score is probably nostalgia talking, but I cannot help it. This game changed the way I viewed video games, both for better and for worse. This entry was posted in 30 Reviews in 30 Days, Retro, Retro Active, Reviews and tagged arcade, capcom, Street Fighter II, Street Fighter II Championship Edition, Street Fighter II Hyper Fighting, Super Street Fighter II, Super Street Fighter II Turbo. Bookmark the permalink.